It is a great pleasure to address you at the 17th judges' symposium here in Tallinn. I am honoured to address such a distinguished audience gathered in this beautiful city of Tallinn. 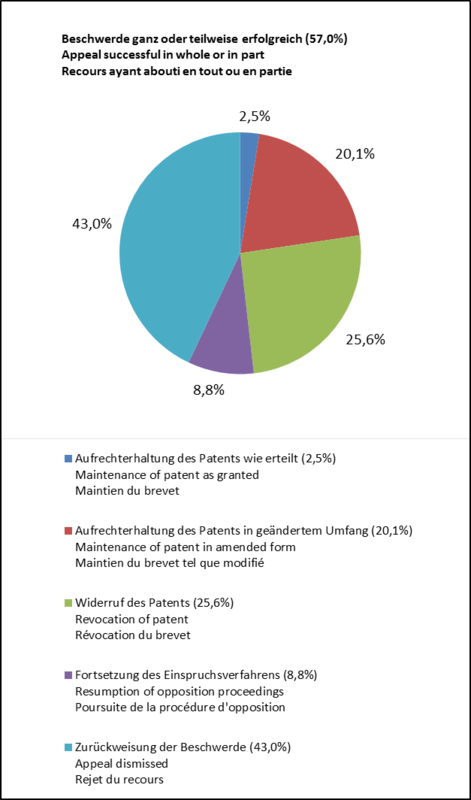 At present, there is a lot of movement in the European patent system. We are awaiting the entry into force of the Agreement on the Unified Patent Court. This will bring changes to the landscape of the European patent system. And also in this new landscape it is of pivotal importance that there is a harmonised approach to patent-law issues. There are many ways towards a greater degree of harmonisation. One of them is that there is awareness among all the judges in the European patent law system – be they judges of a national court, of the boards of appeal or future judges of the Unified Patent Court – of the decisions of others. The greater use of the internet, the use of relevant blogs and also some commercially available databases help in accessing decisions rendered by other courts. The EPO can also give some assistance and we are planning to publish the next edition of our publication on "Case Law from the Contracting States to the EPC" next year. Another path towards greater harmonisation is of course attendance at conferences and symposia such as this one. I look forward to the presentations and discussions we will have in the coming days. I hope that by the end of this symposium we will have a better understanding of the issues under discussion and the various approaches to them. The symposium is here so that we share ideas, but it is also a good forum to learn more about the issues and problems facing each of us. I would like to start by sharing with you some of the recent developments within the boards of appeal and some of the issues facing us. Let me turn to my first topic, which is "volume of work of the boards of appeal". As you can see from the table, the number of new cases has gone down in 2012, and further down in 2013 (-3.3%). At the same time, we can observe a considerable increase in settled cases over the last two years (an increase from 2012 to 2013 of 5.4%). This trend is confirmed during the first 8 months of 2014: the number of incoming appeals decreased by some 4%, whereas the number of settled cases increased by almost 8%. If I extrapolate this development for the whole year, the gap will be reduced to less than 200 cases for the year 2014. Still, more appeals are coming in than we can settle. Therefore, the stock of pending appeals continues to grow, as do pendency times; as of 31.12.2013 there were 7 775 cases pending and the pendency time of appeals is on average 32 months. But at last the acceleration of the number of pending appeals has stopped and the difference between incoming cases and settled cases, after a peak in 2011, is finally falling. It is my aim that in 2015 we will have closed the gap and then can look at ways to reduce stocks and backlog. 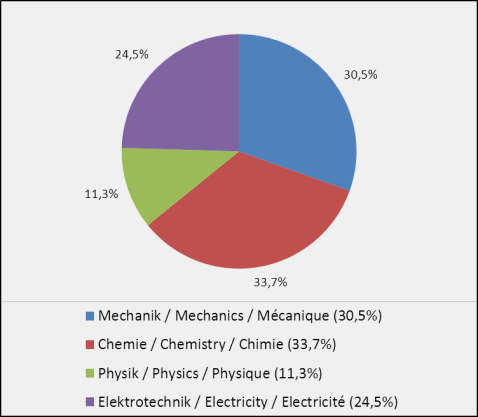 The drop in the number of incoming appeals can be observed in all four technical fields, mechanics, chemistry, physics and electricity, although not to the same extent. The reason for this drop is not entirely clear since the number of patent filings continues to increase and the production in DG1 also increases. One reason might be that the Office now gives more priority to performing timely searches. This is part of the new policy "early certainty from search". As for the increase in settled cases, the reasons are manifold. In order to bridge the gap between incoming and settled appeals, measures have been put into place with regards to recruitment, succession planning and improved support for the boards of appeal. Also a new board in the field of electricity has been set up. Continuous effort is also made on measures of procedural efficiency and case management, always bearing in mind that those measures should not affect quality. We are also hoping that the change to Rule 103 EPC, which now enables the appeal fee to be reimbursed if the appeal is withdrawn at a later stage in the proceedings, will prompt appellants to withdraw those appeals in which they have lost interest. The introduction of the new reimbursement scheme was combined with an increase in the appeal fee from EUR 1 240 to EUR 1 860. Although this is a significant increase of the appeal fee the cost coverage is still well below 10%. It appears that we may already now enjoy the first fruits of our efforts. But we will not rest on our laurels: all members of the boards of appeal, the support departments of DG 3 and my team will work hard towards stabilising and even reducing the stock and the pendency times of appeals. Nevertheless, it is not to be expected that the pendency times of appeals will be reduced in the near future. It is thus important to be aware of the possibility of accelerated processing before the boards of appeal. The possibility to ask a board to deal with the appeal rapidly exists not only for parties with a legitimate interest, but also for courts. If you deal with an infringement proceeding in relation to a patent which is the subject of opposition appeal proceedings you may wish to contact the relevant board to request that the appeal is dealt with rapidly. Such a request can be made by a court or a party. On average, each board receives about two such requests per year and, unless a party cannot substantiate the request, the request for acceleration is granted. This can mean that a case is dealt with in a matter of months rather than years. 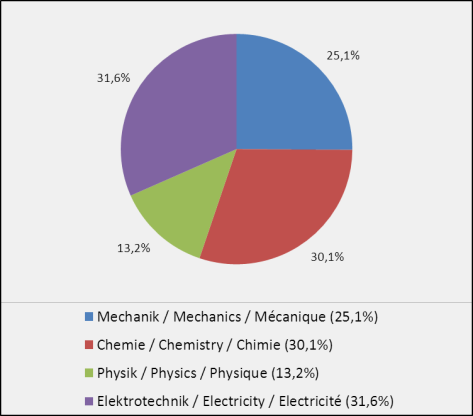 For your information, below is an illustration of the incoming and settled cases per technical field in 2013 and of the appeals pending as at 31.12.2013. Another aspect of our work I would like to share with you is an analysis of the outcome of appeal proceedings. I would like to distinguish here between two types of cases. One is where the decision of the examining division refusing a patent application is appealed - these are the ex-parte cases. The other is where the appeal lies from a decision of the opposition division - these are inter-partes cases. 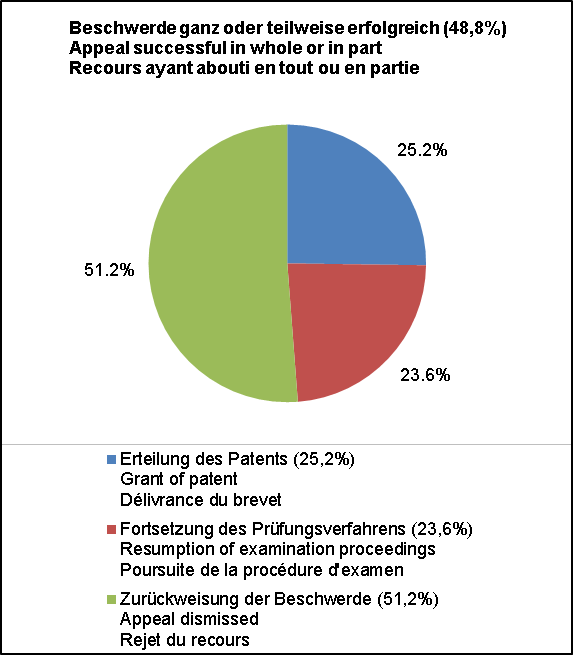 As a point of information: of the technical appeals received in 2013 48% were ex-parte cases, and 52% inter partes. The figures are those for the year 2013. 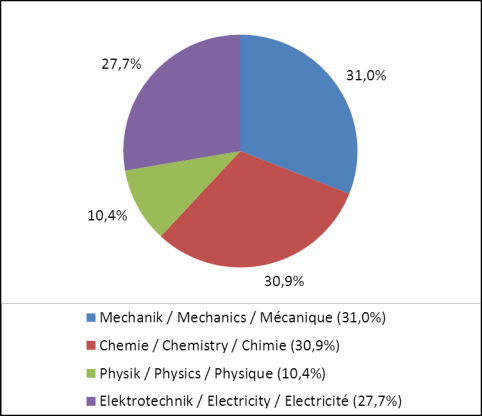 In approximately 49% of cases the appeal was successful in full or in part. In just over half of those cases the board ordered the grant of the patent. In just less than half of them the resumption of the examination proceedings was ordered. In the vast majority of cases, opposition proceedings were not resumed but the board decided itself (i.e. it decided to order maintenance of the patent as granted or in amended form or revocation of the patent). The interpretation of these figures has to be done with care. Many cases where appeals are successful are the result of amended claims or newly introduced evidence; thus the basis of the board of appeal's decision was a different one, so it cannot be said that the impugned decision of the department of first instance was wrong. Yet what we can say is that at the end of the appeal proceedings there often is a very different result for the party or the parties when comparing it to the result after the proceedings in first instance; this clearly confirms that the boards of appeal have a very important role to play. Let me now say a few words about the Enlarged Board of Appeal. Let us move on to the work of the Enlarged Board on referrals under Article 112 EPC. The Enlarged Board of Appeal has decided on two referrals since the last symposium. G 1/12 concerns the following situation: a notice of appeal (in compliance with R. 99(1)(a) EPC) contains the name and the address of the appellant as provided in R. 41(2)(c) EPC; but the appellant then alleges that the identification is wrong due to an error, the true intention having been to file on behalf of the legal person who is entitled to appeal and on whose behalf the appeal should have been filed. Is it possible in such a situation to correct this error under R. 101(2) EPC by a request for substitution by the name of the true appellant? The Enlarged Board answered that it is possible, provided the correction does not reflect a later change of mind as to who the appellant should be, but on the contrary only expresses what was intended when filing the appeal. The Enlarged Board hereby fully endorsed the case law of the boards, in which it was considered that an incorrect indication of the appellant's identity is a deficiency which can be remedied also after the time limit of Rule 101(1). G 1/11 concerns the question of whether the technical board or the legal board was competent for a specific case. The specific case at issue arises when an EPO examining division decides – in a decision taken separately from its decision to grant the patent or refuse the application – not to refund search fees under R. 64 EPC. The EPC was found not to regulate this specific situation. The Enlarged Board of Appeal decided that in such a case a technical board was competent to hear the appeal. At present, there are six referrals pending before the Enlarged Board. The most publicised case now before the Enlarged Board is known as "Tomato II", pending as G 2/12. The Enlarged Board had in G 1/08 interpreted the exclusion from patentability of essentially biologically processes for the production of plants in such a way that the claim to a certain method of breeding tomato plants would have fallen within that exclusion from patentability. The questions in G 2/12 concern the allowability of product claims and raises the question whether the exclusion of essentially biological processes negatively affects the allowability of a product claim directed to plants or plant material. In the meantime, we also have "Broccoli II". That case is pending as G 2/13 and raises largely the same questions, namely whether the exclusion of essentially biological processes for the production of plants in Art. 53(b) EPC can have a negative effect on the allowability of a product claim directed to plants or plant material. Cases G 2/12 and G 2/13 have therefore been consolidated. The Enlarged Board has scheduled oral proceedings for 27 October 2014 and has sent out some guidance on the issues to be addressed during the oral proceedings. Three further cases which are pending concern procedural matters: G 1/13 concerns the issue of party status, in particular whether the EPO must recognise the retroactive effect of a provision of national law (in this case UK law) restoring a company which had been dissolved to the register of companies. G 1/14 and G 2/14 concern the question whether an appeal is inadmissible or deemed not to have been filed if filing of the appeal and/or the payment of the appeal fee occur after the relevant time limit has expired. The answer to these questions determines whether or not the appeal fee is reimbursed. The most recent referral to the Enlarged Board of Appeal is G 3/14 and concerns the issue of whether clarity of independent claims can be or even must be examined during opposition and opposition appeal proceedings when the independent claim has been amended only by a literal insertion of all or some features of an already granted dependent claim. You will hear more about this referral on Friday, when some recent cases from the boards of appeal are highlighted. All I wish to say at this stage is that the answers to the questions referred, whatever they may be, will have a considerable impact on opposition and opposition appeal proceedings, and the case has thus been given priority. As you can see from my short summary of pending referrals, the Enlarged Board is faced with a wide variety of subjects, both procedural and substantive. It is a busy time for us and next year we will undoubtedly have answered some of the questions referred to us. At the end of 2007, the Enlarged Board of Appeal was entrusted with the new task of deciding on petitions for review - that is, deciding whether a fundamental procedural defect occurred in the proceedings before the respective board of appeal which affected the outcome of the case. The Enlarged Board receives a steady number of these cases - on average about 20 petitions per year. So far only four have been successful and led to the decision of the board being set aside and the case being re-opened. The high number of petitions for review being rejected is not to be interpreted as a result of us wanting to cover up for our colleagues. Instead, often a party's submissions are such that it effectively asks the Enlarged Board of Appeal to undertake a substantive review of the decision of the board. The Enlarged Board is not competent to do this as the petition for review is an extraordinary legal remedy in case of procedural defects. The legislator intended it to be nothing other than this, for which reason there is a limited and exhaustive list of grounds on which the petition for review can be based. One issue that has been a recurring one is that parties sometimes expect the board to tell them prior to the decision being issued all the foreseeable grounds which the board eventually sets out in the reasons for the decision once it is issued. The Enlarged Board has repeatedly held that a party has no right to this detailed analysis prior to the issue of the decision. It is sufficient for the granting of the right to be heard if the grounds given in the written decision correspond to an argument which was put forward by any of the parties to the proceedings or by the board and which the petitioner was therefore aware of. In R 19/12, which was issued at the end of April this year, the Enlarged Board of Appeal concluded that the chairman of the Enlarged Board of Appeal should be excluded from the proceedings because of an objectively justified suspicion of partiality. The main reason for the finding was that the chairman, being also an EPO Vice-President, was closely integrated into the administrative structure of the Office, in particular through his role as member of the Office's Management Advisory Committee (in short: MAC) and General Advisory Committee (in short: GAC), where he was bound by the President's instructions. In the reasoning of the decision the Enlarged Board also addressed in more general terms the problem of the judicial status of the boards of appeal and their institutional setting as part of the European Patent Office. As you can imagine this decision has attracted public attention and has led to considerable debate about the consequences to be drawn from it. The President of the Office announced during the June meeting of the AC that the Office and Council will conduct a reflection on the long-term consequences of this decision and its reasoning. This topic will most certainly keep us occupied in the months to come. As a direct consequence of this decision and pending further reflection, the President of the EPO has taken some precautionary measures to enable the chair of the Enlarged Board to continue to exercise his function. 1. VP3 is not a member of the General Consultative Committee (GCC), which has replaced the GAC. VP3 does not participate as a member in MAC meetings, but may participate as observer for agenda items that have a direct bearing on the boards of appeal and their support services. 2. Certain administrative functions within the boards of appeal have been removed from VP3. 3. Again, as a precautionary measure and pending further analysis, members of the boards of appeal and Enlarged Board of Appeal may no longer be nominated to participate in the Office's administrative bodies (such as selection boards or the disciplinary committee) unless work in such bodies concerns issues directly applicable to members of the boards of appeal and the Enlarged Board of Appeal. In the meantime, two other petitions for review cases objections against the chair of the Enlarged Board have been filed, with reference to R 19/12. Let me now say a few words on the co-operation and exchange that the boards of appeal have with national judges. As I mentioned already during the last judges' symposium, the most formal co-operation is the participation of national judges as external members of the Enlarged Board of Appeal. When the Enlarged Board of Appeal decides on a point of law referred to it, it is composed of seven members - five legally qualified and two technically qualified ones. One or two of the legally qualified members can be replaced by one or two legally qualified external members if the case extends beyond the internal administration of the EPO. These external members are predominantly national judges and I am sure some of you are among them. I regard the co-operation with external members as very enriching and believe that it is yet another way in which greater harmonisation can be fostered. Recently letters have been sent out to the delegations of our member states to propose candidates for external legal members, as for many of these positions the nomination period runs out at the beginning of 2015. In 2012, the EPO started a programme of internships for judges at the boards of appeal. The judicial internship programme runs annually and lasts one month. Up to seven judges attend a one-week intensive training course on patentability requirements and the procedures of the boards of appeal followed by three weeks of shadowing a technical board of appeal. The programme has been a success and we are looking forward to welcoming more judges next year. We are also always interested in recruiting judges as legally qualified members of the boards of appeal. On average, between one and three posts per year are advertised and you can find these on the EPO website. You can subscribe to an RSS feed to receive the advertisements automatically. Last, but not least, I would like to say a few words about the UPC. We welcome the developments towards the creation of a new unified patent court. The aim of creating one central court to decide on post-grant issues is a big step towards harmonisation and we hope also towards more legal certainty. Much will of course depend on the approach that judges in the UPC, members of the boards of appeal and national judges take on issues, such as novelty and inventive step, which are relevant for both the grant and the post-grant stages. It is therefore important to continue to have mutual exchange and discussion. We have asked ourselves on the boards how the UPC may affect the work of the boards of appeal. The proceedings conducted by the EPO, up to and including the appeal stage, will formally remain unchanged. Yet whilst the UPC will only take over the role of the national courts in the member states and will have no role in the granting procedure, there may well be an effect on the number of appeals filed should some parties decide not to file oppositions before the EPO anymore, but commence proceedings before the UPC instead. We can only speculate on the choices users will make. For the boards of appeal this new alternative is not a threat but an encouragement to work further towards better timeliness and to maintain the high quality of our decisions that inspires confidence among the users of the European patent.